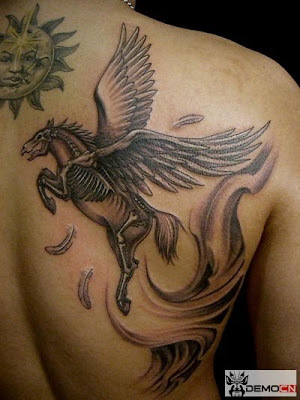 I have posted a winged horse tattoo before. While that one is perfect for girls, this free tattoo design is more manly. 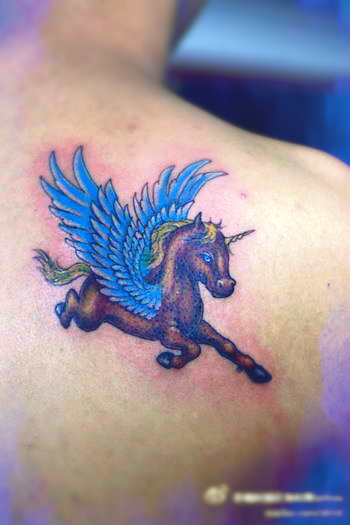 The skeleton structure of this Pegasus tattoo is the taste only for men, I guess.